Academy Awards this Sunday! 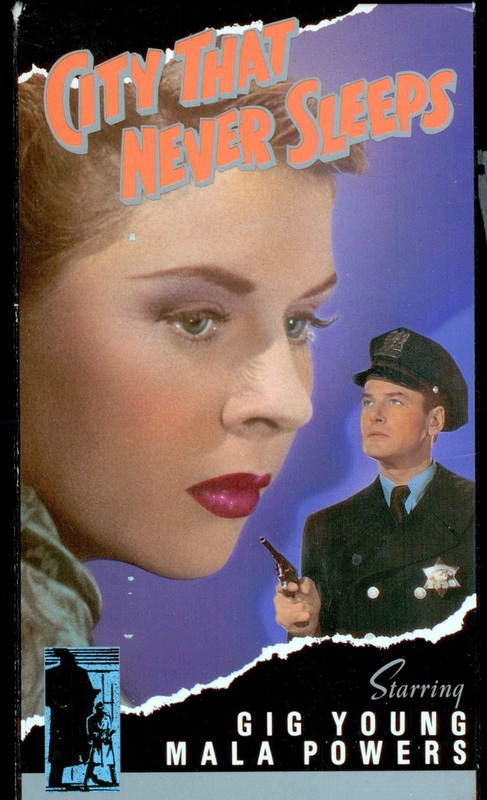 While we’re in the movie mood, let’s talk about a minor bit of Chicago film-noir called City That Never Sleeps. This 1953 movie opens with a tracking shot of the Chicago skyline at dusk. Then comes an echoing voice, seemingly from heaven: “I am the city. Hub and Heart of America. Melting pot of every race, creed, color, and religion in humanity . . . .” And so on. This is the Voice of Chicago, courtesy of veteran actor Chill Wills. So the film begins with a major mystery–why did the producers hire someone with such an unmistakable Texas accent? Now we are introduced to the characters in the drama. Johnny Kelly (Gig Young) is an unhappy cop who wants to quit the force and dump his wife. He talks about running off to California with Angel Face (Mala Powers). She came to Chicago intending to be a ballerina, and wound up as a stripper. That&apos;s the recurring theme–everybody wants to be something else. 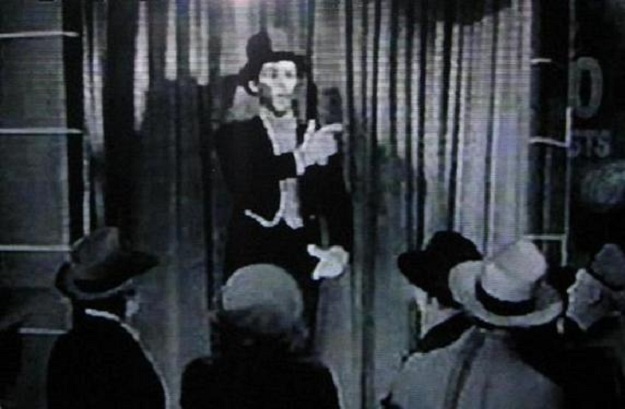 A performance artist known as The Mechanical Man (Wally Cassell) wanted to be an actor. A thug (William Talman) wanted to be a magician. The thug’s lady love (Marie Windsor) has achieved her ambition of becoming a trophy wife, but now is tired of the job. There is also Biddel (Edward Arnold), a corrupt lawyer. He’s the only one who seems satisfied with his career path. But if the character Biddel is satisfied, I suspect that the real-life actor Edward Arnold wasn’t. He was probably wishing he was back in Frank Capra’s movies, where he got to play big-time corrupt characters. CTNS takes place during a single night in Chicago, the last night on duty for Officer Kelly before he resigns. But Kelly’s partner is sick and has been replaced by a cop known as Sergeant Joe. And once Sergeant Joe opens his mouth, you realize it’s our Voice of Chicago, Texas Chill Wills. Now the movie does seem like Capra, namely It’s a Wonderful Life. The night moves on. The police radio crackles with the crimes of the city. Man beating a woman at 103rd and Avenue J . . . Supermarket burglary on Addison Street . . . Disturbance at Elston and Montrose . . . Mugging on Hyde Park Boulevard. . . Yet if you examine the scenery closely, you’ll notice that most of the movie wasn’t shot on location. It’s actually soundstage, back lot, or the streets of L.A. The running time is 90 minutes. The first hour or so is pretty slow. As the plot gradually unfolds, the major characters are thrown together. The action picks up in the final 20 minutes. This part was clearly filmed in Chicago–hey, there’s the Wrigley Building, all lit up! The grand climax is a foot chase in the dark along the ‘L’ tracks. Then the plot conflicts are resolved. Sun rises over the city. The Voice of Chicago returns to dispense final wisdom. CTNS was made on a low budget by Republic Studios. It was never considered a classic. But Martin Scorcese has said the film is one of his favorites, and it has been enjoying a revival in popularity. You make your own call. Only don’t complain to me about the Voice of Chicago.